Grace Mugabe reconciles with Mnangagwa - SABC News - Breaking news, special reports, world, business, sport coverage of all South African current events. Africa's news leader. Idah Marufu died at the last week at the age of 83. 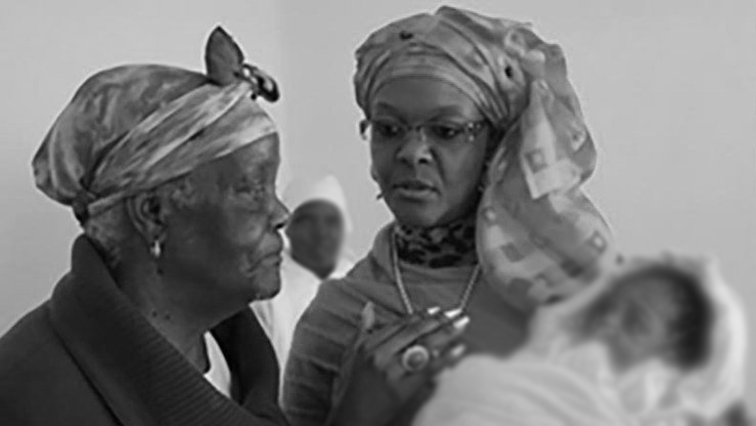 Former Zimbabwean first lady Grace Mugabe says her mother’s death has helped to bring reconciliation with the current President Emmerson Mnangagwa. The relations between the two became frosty last year when they were vying for a top leadership position in the ruling ZANU-PF party. Speaking during the memorial service of her mother Idar Mafuru, Grace Mugabe thanked President Mnagagwa for arranging a chartered plane to bring her home from Singapore to mourn her mother. In a suprise move, Grace Mugabe who was once a fierce critic of Mnagagwa told mourners that the current President loves the Mugabes and that they too love Mnagagwa. She also said they pray that God gives Mnangagwa wisdom to lead Zimbabwe. In a similar reconcialiatory tone, former Zimbabwean President Robert Mugabe said he has accepted the election results and that those who staged a coup knew that Dr Skeremayi was his preferred successor. He however quickly pointed out that all that is in the past and called for diologue and unity in Zimbabwe. This entry was posted on 07 Sep 2018,09:05AM at 9:05 AM and is filed under Africa. You can follow any responses to this entry through the RSS 2.0 feed. Both comments and pings are currently closed.